Every year Katch International chooses a number of great causes and lends their disruptive digital, design, and PR services to make a greater impact. 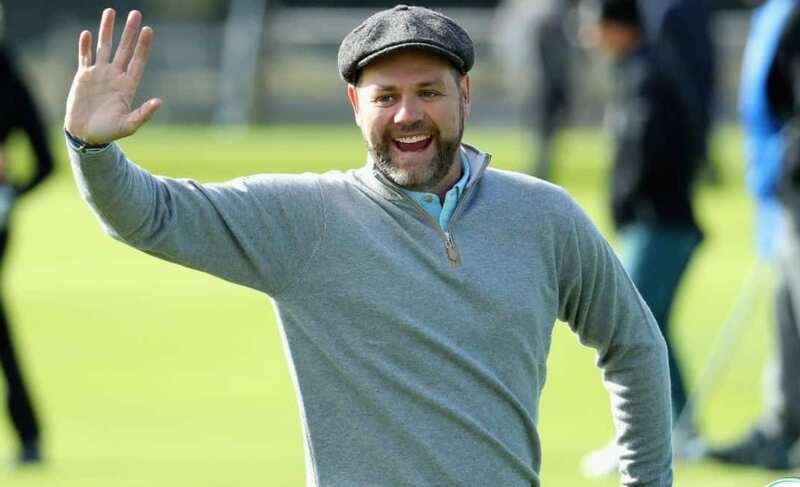 Last month the chosen cause was the Swing Against Cancer initiative that pitted celebrities Harry Redknapp, Brian McFadden, Mike Tindall, and Michael Campbell against local competitors in aid of UAE charity Friends of Cancer Patients (FoCP). The event smashed all expected targets, raising over $100,000 dollars for FoCP and aiding the treatment of two Dubai residents suffering from cancer, one of whom is just 2-years-old. The Swing Against Cancer Charity Golf Series 2017, launched by Sixteen10 and Worldwide Golf, followed on from the success of the Mike Clark Charity Golf Day, which over four years has raised more than US$125,000 for FoCP, and over $50,000 in 2016 alone. Clark, a former UAE resident, golfing enthusiast, and Jumeirah Golf Estates employee, tragically passed away from cancer aged 30 on October 16, 2012 – hence the name Sixteen10. This year the Swing Against Cancer finale coincided with the Mike Clark Golf Day and manged to double that previous feat accumulating more than $100,000 for donation. After an entertaining and tightly-fought contenst on the course, the day’s action continued long into the evening, with a gala dinner, prize ceremony, raffle, and sports memorabilia auction, as well as a celebrity Q&A which produced some memorable comedic gems. Harry Redknapp recounted his fiercest opponent, the gifted George Best, and Mike Tindall spoke about the shenanigans that go on during a rugby tour. Michael Campbell inspired the crowd with tales of New Zealand’s conversion to golf and the support he received from his home nation, while Brian McFadden gave a rousing rendition of one of Westlife’s hits in memory of Mike Clark, the man who originally inspired the event after losing his fight against cancer. Raffle winners walked away with some great prizes, including an amazing golfing holiday and stay at Shangri-La’s Le Touessrok Resort & Spa in Mauritius, a signed New Zealand rugby jersey, box and concert tickets for the Etihad Airways Formula 1 Grand Prix in Abu Dhabi from platinum sponsor Flash Entertainment, and a week’s health retreat at the Fonteverde Spa in Tuscany. Other great prizes including a week’s golfing and villa stay at Michael Campbell’s Golf Academy in Marbella, Spain were heavily fought over in the auction, with the end result being that Michael Campbell offered not only one, but two groups the prize, while Harry Redknapp auctioned a stake in his new racing horse, and Mike Tindall offered a luxury retreat to Cheltenham. Ronaldo’s football boot and Muhammed Ali’s boxing glove also fetched a pretty penny as Sixteen10 sourced some exclusive sports memorabilia. All proceeds have been donated to the Friends of Cancer Patients (FoCP) society and will go directly towards the treatment of two UAE residents, Waleed, a 37-year-old man suffering from rectal cancer, and a 2-year-old boy suffering from leukaemia. Since their inception, FoCP has delivered moral and financial support to over 1,300 patients and their families, irrespective of their nationality, gender, age, religion or ethnicity, and we are honoured to have been a part of such an outstanding and successful event in aid of such a worthy cause.